The Generals ended the weekend in the back half of their double header tonight against the Windsor Spitfires in the 21st annual Teddy Bear Toss game! 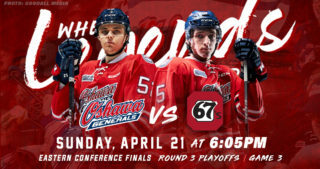 Heading into the contest, the Gens held a 17-8-2-0 record after a huge 5-0 win at home yesterday against the Kingston Frontenacs, picking up their seventh win in the past eight games. Tonight, the team looked to keep their offense rolling and send the teddy confetti raining down onto the ice. Both teams came out in the first ready to play, exchanging zonetime and offensive chances early. Just over six minutes into the period, the Gens got the first powerplay of the game from a too many men call to the Spitfires. Making no mistake on the opportunity, captain Jack Studnicka sniped home the highly-anticipated first goal of the game to send thousands of teddy bears flying onto the ice! Giovanni Vallati got the assist on the play as the Gens took an early 1-0 lead off the teddy bear tally. After the goal, Oshawa headed to the box for two minutes for elbowing. With a strong PK effort and a few incredible stops from Generals goaltender Cole Ceci, Oshawa killed off the penalty. Back at even strength, the Spitfires took a penalty of their own to give the Gens their second powerplay of the game. 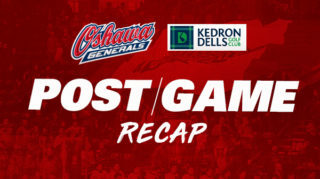 However, Windsor poked the past the Gens at their blue line to receive a shorthanded breakaway that they were able to capitalize on, tying the game at 1-1. Things got worse from there for the Gens when the Spits got another breakaway off forward Kyle McDonald coming out of the box and burying another, giving Windsor a 2-1 lead. In the last minute of the period, the Gens got called for a high-sticking penalty that they managed to kill off the beginning of, sending them into the intermission down by one. The Gens opened the period with a minute left in their penalty but were able to hold off the Spits offense and keep the game at 2-1. At just over six minutes into the second frame, Windsor received a five-minute penalty for checking to the head, giving the Gens a long opportunity on the man advantage. While they generated a few good looks on net, the Gens weren’t able to find the tying goal on the powerplay. After the penalty expired, Oshawa had a 2-on-1 chance from Allan McShane and Eric Henderson that they nearly potted but was robbed by Spits goalie Michael DiPietro. After the chance, the Gens were next to take a penalty, getting called for two minutes for interference. A big block from Kyle MacLean and some key stops from Ceci helped the Gens hold off Windsor’s powerplay and keep the score at 2-1. At even strength, the Spitfires put the pressure on the Gens and had a barrage of shots. The play resulted in a scramble in front of Oshawa’s net in which Ceci made two incredible stops before Windsor finally scored one on their third chance, giving them a 3-1 lead. 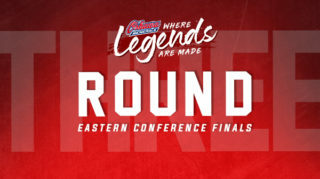 With just over two minutes left in the period, it looked as though the Gens had their second tally of the night, but the play had been whistled down just before the puck crossed the goal line. With no goal on the play, the Gens went into the final period trailing by two. While the Gens had some jump to start the third period, it was Spitfires forward Luke Boka who was able to find the back of the net early in the period, adding to Windsor’s lead at 4-1. Right after the goal, Cole Ceci made two amazing stretching saves to keep Windsor from getting any more. Ceci kept up his strong play as the Spits didn’t let up their pressure, outshooting the Gens 36-21 at the halfway mark of the period. Oshawa’s best chance of the period came with six minutes left when Allan McShane was sprung on a breakaway opportunity that DiPietro was just able to get a glove on. In the last few minutes of the game, Oshawa ramped up the pressure and got a few good shots but couldn’t find the back of the net, falling 4-1 to the Spitfires. 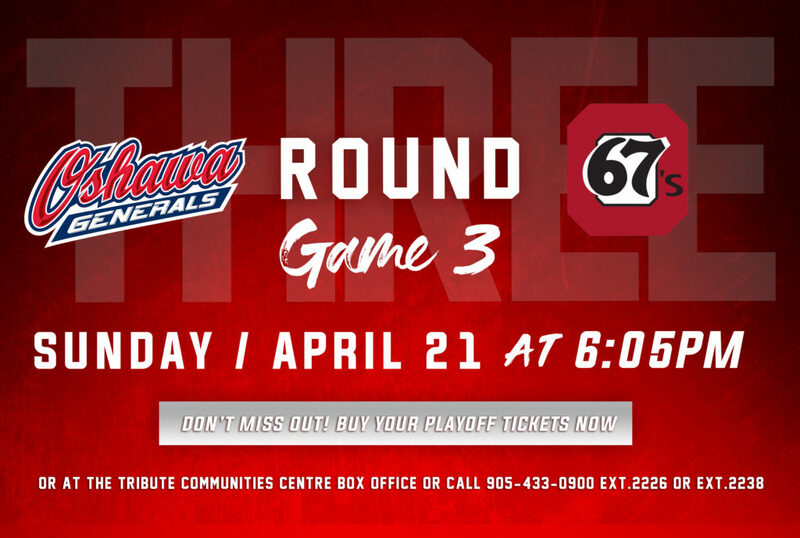 After a tough loss tonight, the team will look to rebound on the road next week as they battle the Barrie Colts on Thursday and the Mississauga Steelheads on Friday. A special thanks goes out to Door 2 Door Movers and NASC for helping with the moving and delivery of the teddy bears thrown at tonight’s game! Each bear will be donated to the Durham Children’s Aid Foundation to help children and youth in the Durham Region. 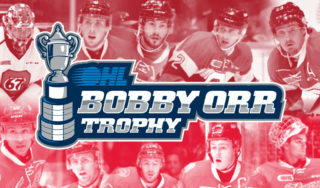 As the Holiday Season approaches, the Oshawa Generals have just the right gift for all the sports fans on your shopping list. 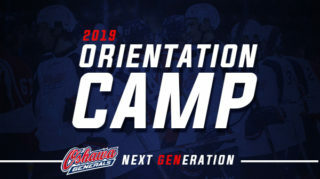 Give the gift of hockey with the Oshawa Generals Holiday Flex Pack! Click here for more info.